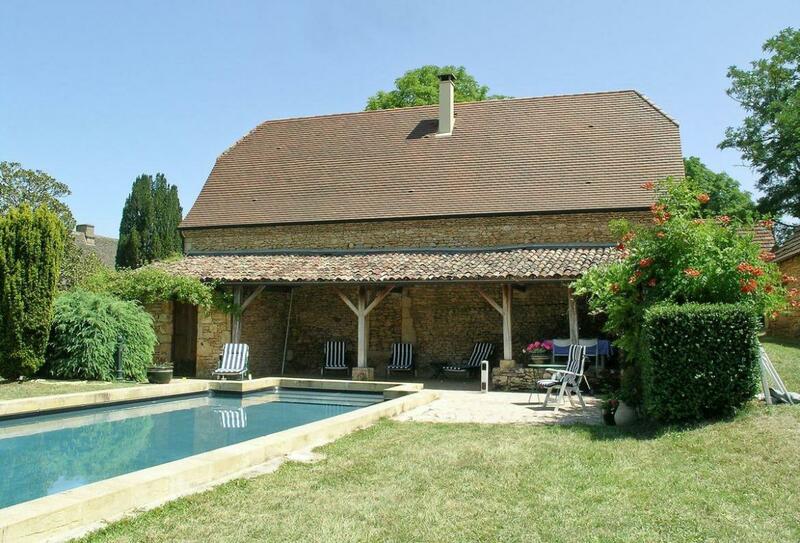 Brilliant 2 bedroom holiday home sleeping 4 near Montignac, Dordogne and Lot. A splendid holiday villa for an unforgettable family holiday, this property offers a private pool and has everything you're looking for in a holiday home! On site parking. Cot available. Highchair available. Airport within 1 hour. Pets not accepted. Set in 25 hectares of private parkland amidst beautiful unspoilt countryside, this spacious, detached holiday cottage has a large, private swimming pool and all weather tennis court. Formerly the wine store, it lies in the grounds of the discreet owners’ “chartreuse” circa 1700 and is furnished and equipped to a very high standard. Perfect for walkers, cyclists and artists, it is surrounded by beautiful rolling countryside, fields of sunflowers, châteaux, medieval villages and bustling weekly markets. Sample traditional French cuisine at one of the many bistros and French wines at local vineyards. Location: 2km E of Thonac (restaurants, baker/grocer, bar), 6.2km N of St Léon-sur-Vézère (prettiest villages award, restaurants), 9km S of Montignac (river, canoe hire), 21km N of Les Eyzies, 24km N of Sarlat (medieval market town, all facilities), 69km E of Périgueux (cathedral), 79km N of Bergerac.